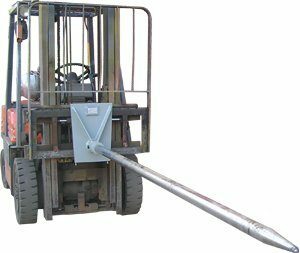 Keep your tynes and move your long rolls with the Bremco Forklift Carpet Pole (slip on attachment). Forklift carpet prongs are the ideal way to handle carpet rolls, artificial turf, set up exhibitions or transport fabrics, cable, coil or steel + poly pipe. 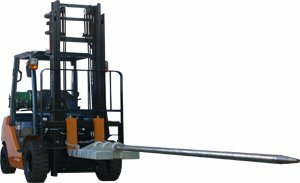 As a slip on attachment, our Forklift Carpet Pole removes the need for fork tyne removal and is made of high tensile steel.